John Gray’s quotes are popular around the world as they focus on relationships and how to build and maintain them. He is a relationship counselor and author of several books on relationships. His most famous book, published in 1992, is Men are from Mars, Women are from Venus, and it has sold millions of copies since. He has also written on how to relate better with children as we raise them. His books often seek to help men understanding women, and women in understanding men. Most of John Gray’s quotes are therefore drawn from his books, as well as his lectures and TV appearances. 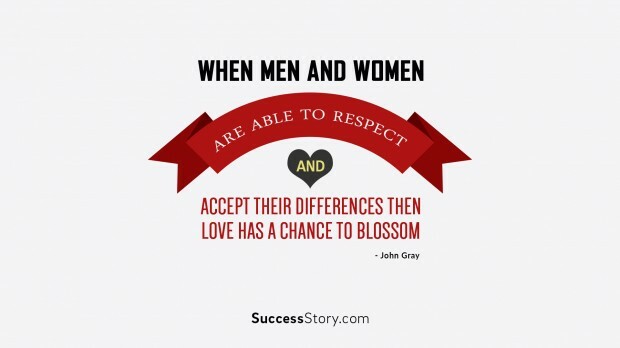 In John’s view, for instance, mutual respect and understanding between a man and a woman is key to building the love between them. He urges couples to pay attention to each other’s needs and to cherish each other. Although John Gray’s books have received criticism from some for not being “academic” enough, his simple style has appealed to many, and he has built a successful career in his own right. His self-belief is an example on how to persist in the face of criticism, and has shown us that success can be achieved if we put our minds to it. In the process, he has positively transformed millions of lives around the world, one relationship at a time.